I am a sucker for boarding school books, the classics and re-tellings. So you can probably imagine my joy at discovering an entire series with these three elements! I really enjoyed this book. One of the things I love about re-tellings is trying to guess which character corresponds to the classical character. Some of them stumped me at first (I don't remember a Dante in Pride and Prejudice?!?) But I think I figured out most of them by the end. 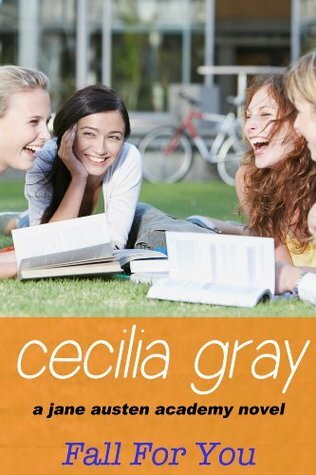 I loved headstrong Lizzie and her sweet friend Ellie- plus how she came to have a change of heart about some of the characters that she was set on hating. It was very interesting to see the dynamics of such a classic shifted into a modern day private school. I also was a fan of how well thought out the specific details were (ie why the school is called The Jane Austen Academy)- it was super neat to see! One thing I would change about this book is the cover. I loved it so much but on a store the cover wouldn't have drawn me to it so I probably would never pick it up. And there is so much potential for the cover- I have a billion ideas!